GOLDENDALE, Wash. (AP) — Steve Sall moved forward on uneven, rocky terrain in his motorized wheelchair and came to a stop at the edge of a sweeping vista of ponderosa pines and bright pockets of yellow wildflowers. Before being stricken three years ago with Lou Gehrig's disease, the 61-year-old Oregon resident who was an avid hiker would have backpacked this canyon. Instead, he was there to pick out his grave site. 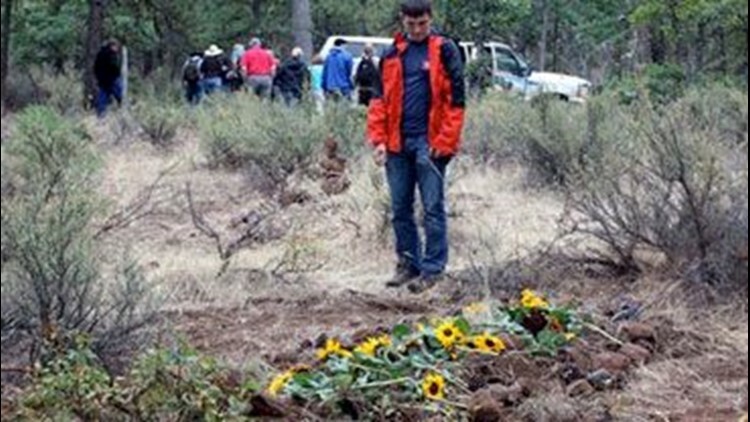 Three months later, Sall was laid to rest in the forest. He would be among the small but growing number of Americans choosing environmentally friendly burials. The so-called "green burials" are a departure from the norm in that they don't use concrete vaults, metal coffins or any chemicals. The Green Burial Council, an industry group that sets standards, now counts more than 300 approved providers in 40 states, while only a dozen existed as recently as the beginning of 2008. And a March 2010 survey commissioned by the International Cemetery, Cremation and Funeral Association found a quarter of those polled liked the concept of environmentally friendly burials. "We think of this as a new idea, but this is really an ancient idea we're returning to," said Joe Sehee, executive director of the New Mexico-based council. A burial in the wilderness was especially appealing to Sall after spending so much of his life hiking mountains and forests across the Pacific Northwest. He was also heavily involved in his son's Boy Scout experience, often accompanying the troop on nature excursions. As Lou Gehrig's disease advanced earlier this year, Sall knew it was time to consider end-of-life logistics. He thought about cremation, but didn't like the idea of pumping gases into the atmosphere, said his son, David. Sall began researching green burials on the Internet, eventually finding the website for the White Eagle Memorial Preserve, a natural burial grounds about 15 miles from the small town of Goldendale. For a few moments in June, Sall was outdoors again, the forest before him. From his wheelchair, he spotted a ponderosa pine he liked with a surrounding meadow and his heart was set. Sall communicated by pointing a pencil to a laminated piece of paper with a grid full of letters and conjunctions. His wife and son had become practiced at translating his thoughts over the course of his debilitating illness. The Salls bought two plots — one for Steve and one for his wife Teri — for about $4,800. Steve Sall died in September. "I know that Steve loves nature so much," Teri Sall said at the time of picking his plot. "Having him rest somewhere in a place that he loves more than, you know, a cemetery that's kind of sterile and has sad things associated with it, just seemed like the thing to do." "I like my decayed remains to be sucked up by a tree," Steve joked, after picking his site. "I call it 'branching' out." The types of green burials vary. There are hybrid cemeteries that provide both traditional graves and greener ones. There's also natural burial grounds, which prohibit the use of chemicals or materials that do not decay. Another type are conservation burial grounds, in which proceeds from customers buy and conserve land. These burial grounds are often managed through a partnership with an independent nonprofit conservation group that serves as steward, Sehee said. Some people choose a pine coffin. Others use shrouds. Sall died Sept. 14 in his home. Five days after his death, his body — wrapped in a shroud made of Pendelton blankets — was transported from his home in Oregon to the reserve in the family van. His body was transferred to a four-wheel drive truck, with 30 friends and family members hiking the mile from the entrance to Sall's site. The grave was prepared only three feet deep to quicken decomposition. "This is a place that Steve chose, a place where in his own words, he said his atoms could become trees," Sall's brother, Rob Sall said. Following his family's Jewish traditions, each person shoveled a scoop of dirt on top of Sall's body. They placed rocks and pine cones around the dirt mound and yellow sunflowers on top. Sall's son lingered behind as others began to disperse. He approached his father's grave. "I wanted to go back and get a sense of what it looked like when it's just his body, just his place," David Sall said. "My father really enjoyed the outdoors as long as I can remember, so it just seemed like a given that he would end up back in the outdoors." The preserve where Sall was buried — a 1,200-acre swath of pine and oak forest — was founded by Ray Mitchell, an environmentalist who became the first interment when he died suddenly two years ago. Mitchell envisioned the burial grounds as a way to protect the wild land. "Our argument is why rob the Earth of the nutrients that your body can provide? That our bodies really don't belong to us, that they belong to nature," said Daniel Dancer, general manager of the preserve and one of Mitchell's best friends before his death. Dancer has already picked his plot and spent three days camping and fasting on it. "We have such a fear around death, so if we get to know our spot ahead of time, it will just feel like a more natural, peaceful process," Dancer said.